I'm still not. Well, I am an author, but my life isn't the calm idyll I imagined when I was eight years old. I write in a terraced house in the suburbs of Bristol, frantically tapping away at my laptop in the six hours between the school run, constantly interrupted by my dog whining for a walk. And when I say, "frantically tapping away at my laptop", what I actually mean is staring listlessly at the screen, tapping out a few words, deleting them, replacing them, checking on Twitter, staring listlessly again, tapping, checking Facebook and then a final, frantic, desperate flurry of words between 2pm and 3pm. A publishing deal doesn't wave a magic wand over your entire life. It doesn't fix loneliness, a failing relationship, infertility, grief or heath issues. Yes there are highs - utterly magical ones: holding a published book in your hands for the first time, seeing it in a shop, receiving an award or getting an email from a reader telling you that your novel reignited their love of reading. But there are also lows - disappointing sales figures, envy (not everyone gets a Tube poster), lacklustre press coverage, contracts that aren't renewed, poor supermarket buy-in, and stinging Goodreads reviews. Over the last couple of years I've given dozens of talks across the country about my experience of the publishing industry. I've looked from behind my desk into the hopeful faces of hundreds of aspiring authors, and I've told them about the reality of life as a published author. Sometimes I'm met with raised eyebrows - they think I'm trying to put them off and they are determined that I won't succeed. They want to be published regardless of the lows (good, determination is important). Mostly I see relief. 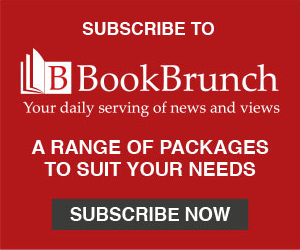 They've already been rejected countless times by agents, or had a book fail to get through acquisitions, and it's heartening to hear from a Sunday Times bestseller who didn't find success with her first book, who was dropped by her first publisher but was determined not to give up on the dream and instead wrote a very different kind of book. When I talk to aspiring authors, I tell them about how well The Accident did, but I also talk about how difficult my second book The Lie was to write. I tell them about the tears, the frustration and the 18-month slog spent writing and rewriting it. And then my complete shock when it became a Sunday Times bestseller and spent three months in the top five of the ebook chart, selling 330,000 ebook copies. But it's not just the publishing industry that I talk to my audience about, it's the day-to-day reality of being an author too. I talk about my struggle to hold down a day job, mother a toddler, be a supportive partner, write a book, promote another book, and attend events. Even now, as a full time writer, I feel as though I drop more balls than I keep in the air. My partner is a headteacher, and he leaves for work before my son and I get up. With no immediate family able to stay overnight, that means I have to say no to any events that require overnight stays during the week, and that I often abandon my partner and son at the weekend as a result. 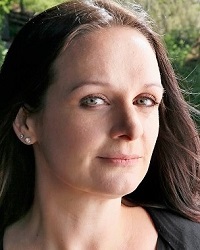 I thought being an author would reduce my working mum guilt; but, no, it's very much present. It's the same for every female author with children. We're all struggling to balance our home life with our professional life. Then there's the awkward mental overlap when you want to focus on the book you're writing, but you also have to travel all over the country to promote your last one. 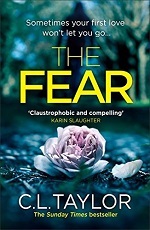 Avon publishes CL Taylor's new thriller The Fear today (22 March).